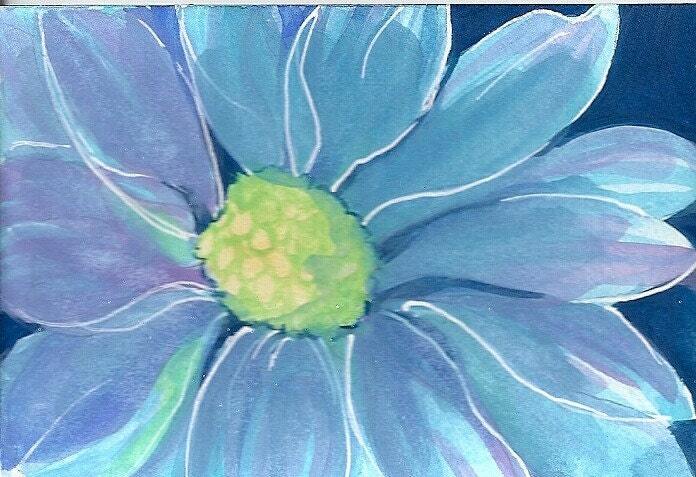 This is another atc design I did for a friend in our exchange group. I'm trying to do my entire series in blues. It's so much fun! You needn't have worried about this being off center -- I like it this way. I appreciate very much your conscientious gift of a second card though.